Programs and activities for seniors age 55 and over include Medicare assistance, aerobic fitness, Bingo, ceramics, sewing, guitar, crafts, card games, computer classes, entertainment (live shows and movies), and oil painting. There are also specialized clubs within the program organization such as camera, pool, Yiddish, knitting and crocheting. Transportation is provided for food and mall shopping. Monday trips to Atlantic City are scheduled. The South Brunswick Senior Club, the Golden Age Club and the A.A.R.P. hold meetings at the site. 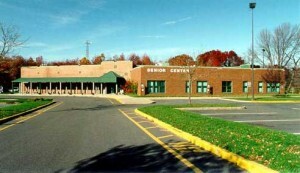 The South Brunswick Senior Center is also a Middlesex County Senior Meals site.